Cutting Cane studio is equipped with a Protools 12 HDX system running on an Apple Mac Pro, with two AVID HD I/0 Interfaces (8x8 and 16x16) for up to 24 channels of inputs and outputs. A Digidesign ProControl is our work surface, and a Crane Song Avocet takes care of the monitor switching and talkback. For monitoring, we have Yamaha NS-10s with a subwoofer for nearfields. For midfields, we have Dynaudio Air 25s, along with an AirBase 24 as the subwoofer. For cue sends, we have a Hear Tech system which allows up to 4 different 8-channel cue mixes, which can each be mixed independently of each other by each listener. 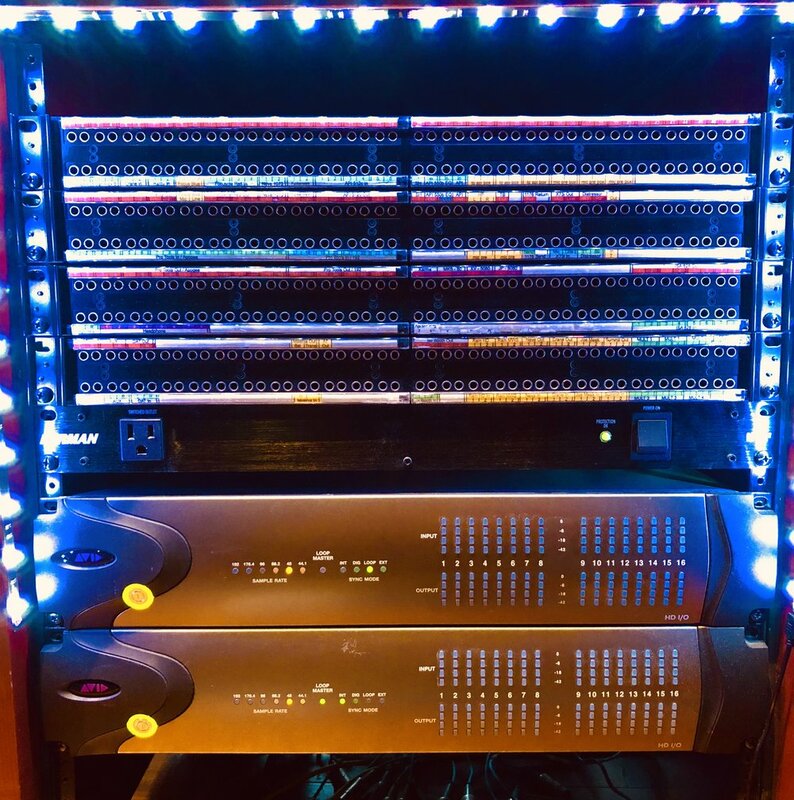 Cutting Cane studio has 48 tielines in the live room and an array of different preamps and signal processors, which are all wired to a TT patchbay. Below you can view our detailed list of equipment.